We are here to help you learn more about some of the finest and most exquisite fabrics in the furniture industry. These fabrics used on all Stressless Recliners and Ekornes Furniture have to meet the highest standards and pass the most rigorous screenings. All of the fabrics feature a fire-resistant backing, meet the necessary standards of production for ecological impact, and meet/exceed a Martindale Cycle rating of 40,000. This means all of the fabrics are incredibly durable, have the most minimal of impact on the environment, and are rigorously tested for quality assurance. Looking for Ekornes replacement Fabrics sold by the square meter? Find them here. "...Smooth, pleasing to the touch, durable and extremely comfortable..." These are a few words we commonly hear describing some of the fabrics available from Ekornes. Ekornes fabrics are made from high quality materials that provide both great looks and durability. Whenever a new fabric is chosen for Stressless recliners and Ekornes chairs, they have to pass through extensive testing to comply with the strict manufacturing demands of Ekornes. Only the best textiles that can withstand "hard daily use" and "normal daily use" are considered. 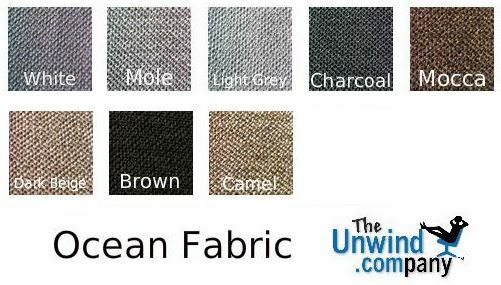 For families with children we always recommend "hard daily use" fabrics. Stressless offers a completely new feeling of comfort. There were six different categories of fabrics and four different leather options. Now, there are 15 grades of fabric upholstery. This almost completely ensures there is a fabric, with the exact texture and color, that will work with your design. 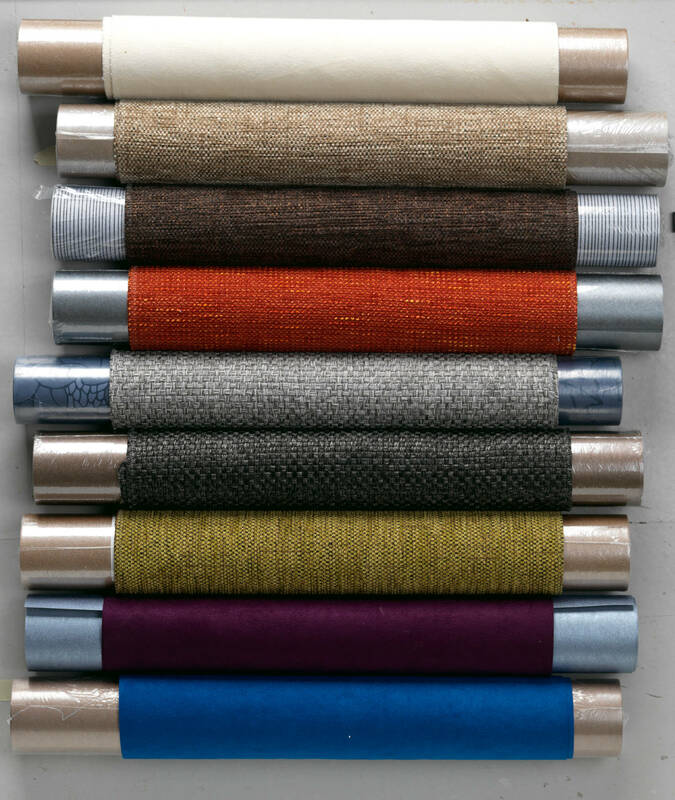 The fabrics are: Verona, Luna, Ocean, Siena, Dinamica, Calido, Crocus, Flora, Iris, Karma, Molli, Silva, Terra, Umbra, and the ever-popular Ultrasuede®. From these varying different fabrics, there are 98 options. You are sure to find the perfect match for any beautiful interior. This fabric grade offered by Ekornes on all of their furniture is categorized as a Wool Felt. It is sourced from some of the finest Italian mills. It also rated a hearty 80,000 Martindale Cycles in the abrasion resistance testing. It is 80% wool and 20% polyamid. To see larger, high-resolution images of these fabric swatches, click here: [Calido Larger Images] or click the palette below. This particular cloth offered by Ekornes is a particularly suitable choice for those searching for a durable and strong upholstery. It is made of 100% Polyester and is from the Czech Republic. This item was rated at 90,000 Martindale Cycles, during the standard "Abrasion Resistance" testing that Ekornes subjects to all of its upholstery choices. This means it is sturdy and will be able to withstand a significant amount of environmental stressors. 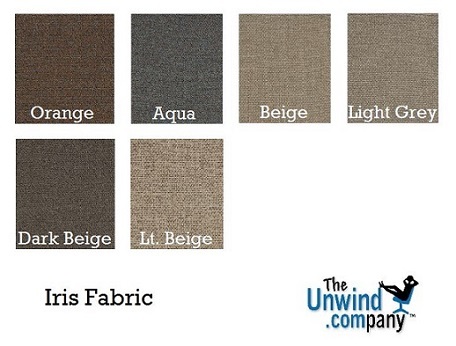 To see bigger images of these fabric swatches in great detail, click here: [Crocus Larger Images] or click the palette below. This Belgian Velour is particularly striking in its simplistic range of "Earth Tones". The smooth, casual nature of the fabric is similar to velvet. A simple touch will reveal a lush and supple texture. However, it was rated at an astonishing 100,000 Martindale cycles during the Ekornes' abrasion testing. It is 100% polyester- BS: 65% polyester and 35% cotton. 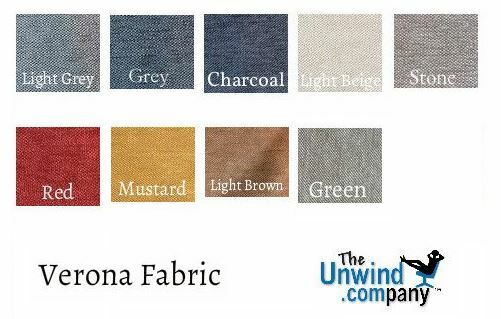 We have posted larger images of these individual colors, click here: Flora Fabric Large Swatches or click on the color palette below to be taken to the pictures' page. This incredibly durable fabric is 100% polyester. It is from China. The color scheme offered provides a varying array of nature inspired occasions. From the warm orange to a smooth aqua, there is a rhythm and harmony to these options. Ekornes rates this upholstery option at 75,000 Martindale Cycles. 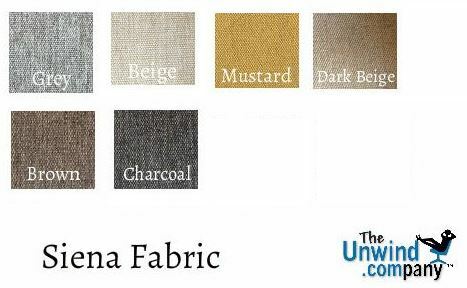 Click here: [Hi-Res Images of Karma Fabric Swatches] to see detailed images of each color choice from this wonderful fabric grade. This particular grade has been phased out. Drop us a line at 888-486-9463 as quickly as possible while limited quantities of this grade are still available. Ekornes describes this fabric as "a tightly woven jacquard". We describe it as a smooth, basic fabric. 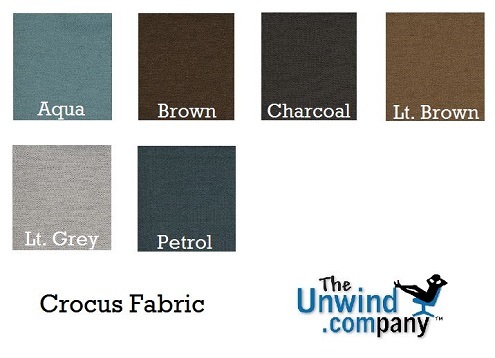 It is a perfect introduction into the Stressless family of fabrics. 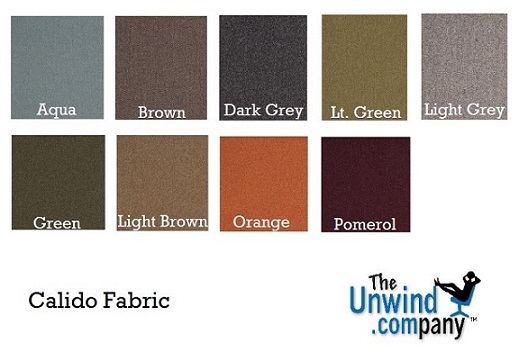 Check out the color palette below for a preview of Stella Fabric for Ekornes Furniture and Stressless Recliners. Ekornes is proud to introduce this grade of fabric. It is classified as a Wool and is available from Norwegian sources. This sturdy option is rated at the 100,000 mark for abrasion resistance. This means it can stand up to the toils of some of the most unruly of environments. This grade is 76% wool, 13% viscose, 6% polyamide, and 5% linen. 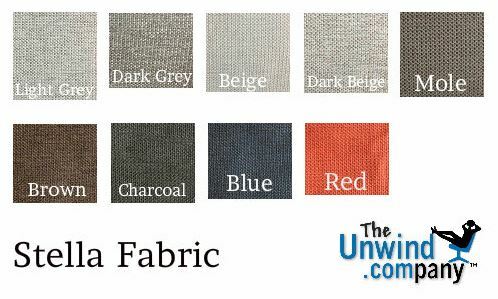 Click Here: [Silva Fabric Color Choices] to see incredibly detailed images of this popular Fabric Choice or click the Color Palette Below. These vibrant colors take one's imagination to the energy of a beautiful Istanbul Spice Market. The warm red Pomerol to the sandy, dusty Light Beige ensure a trip you won't soon forget. This is a U.S. sourced Microfibre Velour fabric and meets 100,000 cycles of the Martindale Test. The front of this fabric is 100% Nylon. The Back is 65% polyester and 35% cotton. 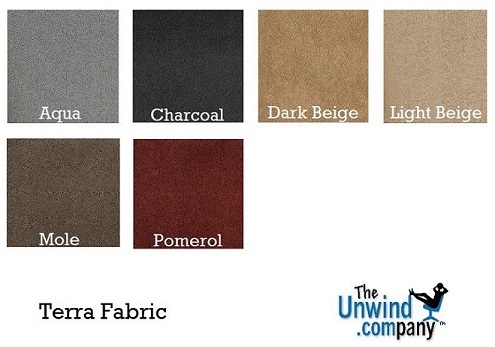 To see Larger Images of each color of Terra Fabric, click here: [Large Terra Images] or click the color table below. To quote Ekornes, "...Ocean is a woven Boucle Fabric...". We like to describe it as a more loose knit fabric. It has a yarn-type texture in that is more coarse and rugged than other fabrics. It is a "throw-back" to vintage fabric textures. 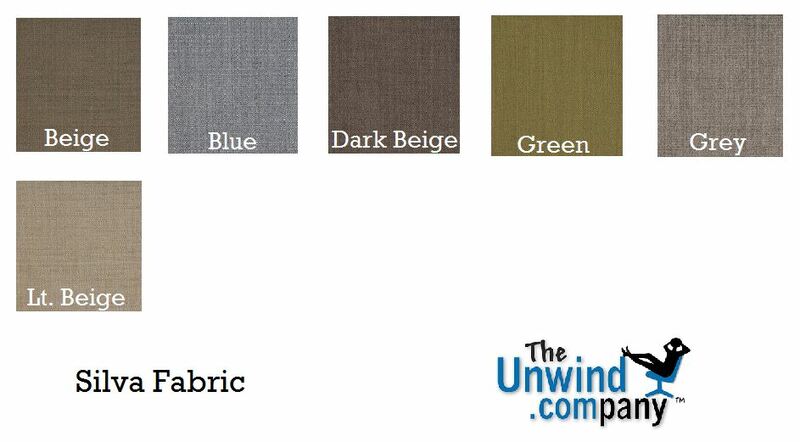 We displayed a preview below of colors available in Ocean Fabric for any Stressless/Ekornes Furniture items. You can almost see the texture of this fabric in the samples below. This fabric is moving into the finer, softer approaches. The Stressless Luna Fabric is classified as "...a Chenille Polyester..." by Ekornes. We describe it as plush and supple. This fabric is as smooth as moon light. The colors seem to casually glow, almost with an elegant subtlety. See for yourself! Check out the sample palette below. This gentle option is perfect for those seeking a respite inside their homes. A sofa or sectional in this fabric provides space to lay back and drift to quiet plains. The traditional colors keep the energy level at a state of relaxation and total comfort. This grade is 100% Polyester. 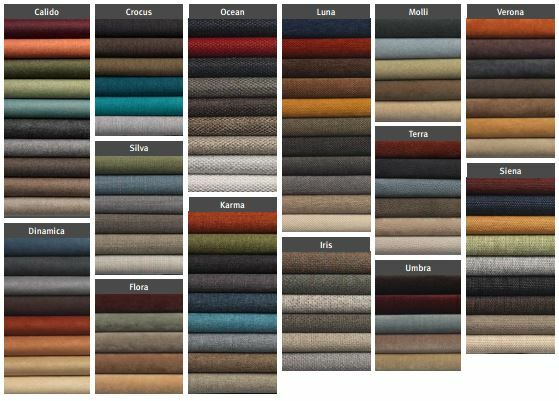 Click here: [Large Color Swatches of Umbra Fabric] to see very detailed images of each color available in this fabric from Ekornes. You can also click the color chart below. This extremely popular brand of upholstery is now available on select Ekornes' Furniture models. These models include the Buckingham, E200, E300, Legend, Liberty, Paradise, and Wave Series items. This environmentally friendly option is not only easy to maintain but it is extremely resistant to environmental stressors. The actual Martindale Abrasion Rating is above 200,000 cycles. This incredible upholstery is not only resistant to sagging, crocking, pilling, and shrinking but is also pet-friendly. It has a strong resistance to absorbing stains and odors. Do you want the ultimate in comfort? Get a Stressless Sofa. Are you worried about things in your home wearing out the upholstery? 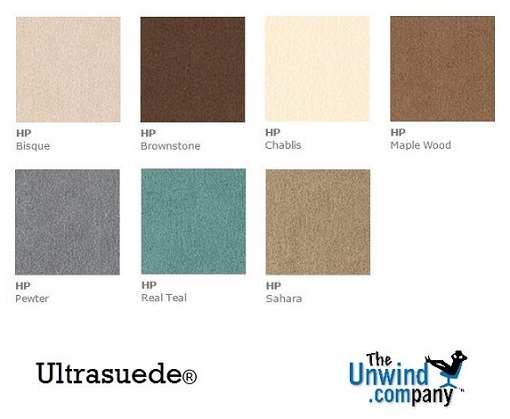 Choose Ultrasuede® and rest assured you are covered. This fabric is the original ultra-microfiber. This fabric will be released July 2014. 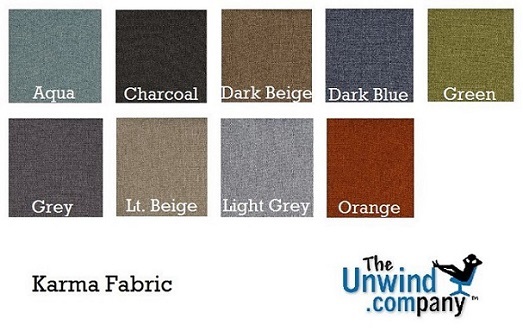 It is the newest addition to the Stressless Fabric Family. Ekornes calls it a "...Velvet with a deep pile...". This refined fabric is firm in all the right places, breathes well for a fabric, and meets 90,000 Martindale cycles. This means this fabric will be soothing and supportive while standing up to the test of time. Check out our preview palette below for examples of the Mediterranean colors available for your Stressless Chairs and Ekornes Furniture. 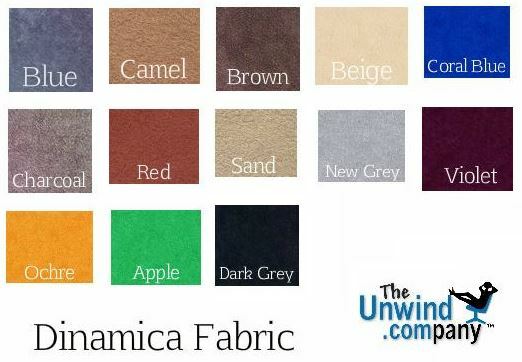 Dinamica is a beautiful, timeless, comfortable and extremely durable textile. It is easy to clean and can be machine washed at 60 degrees. Dinamica does not pill and is especially durable against light and resulting UV damage. Dinamica is manufactured in strict accordance to international demands for environmentally friendly and safe production. This is one of the most popular fabric choices for Stressless Recliners and other Ekornes Furniture. Siena has a smoother texture than some other fabrics but stilll retains that "hardy" feel that is so characteristic of retro fabrics and traditional upholsteries. If you want to learn more, call 888-486-9463 to speak to one of our knowledgeable Customer Service Team Members. Please remember that color changes will occur with time as a result of use and the effect of light and UV rays. Stressless furniture should be protected from direct sunlight to increase longevity. To greatly enhance the life and the appearance of the furniture, the fabric upholstery should be regularly vacuumed and professionally dry cleaned if possible. The Unwind Company stocks 100's of Stressless Recliners, Ekornes Chairs, and Accessories (in our warehouses) for the Fastest Shipping to virtually Anywhere in the Continental United States! Stressless and Ekornes are trademarks of Ekornes ASA - Norway. If you have questions or need additional information about Ekornes leather, Stressless Recliners, Ekornes Furniture or Current Promotions, then don't hesitate to contact us at stressless@unwind.com or at 1-888-4-UNWIND (888-486-9463). We're here to assist you with your Ekornes, Stressless Recliner, Ekornes Furniture or other Soothing Back or Body Product purchase.